Just because I share my opinion publicly doesn’t make me an analyst. I’d rather be known as an Activist Customer than a Citizen Analyst since there is widespread perception that industry analysts are biased or easily influenced. The Geek Whisperers podcast discusses how social media is changing the public face of vendor / customer relations and has been creating names for all the things in social media. 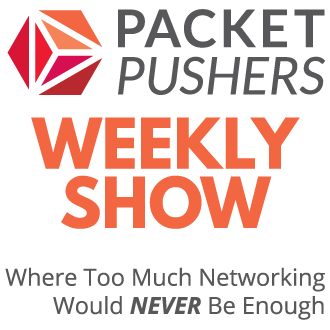 I enjoy listening to the show to gain insight into the machinations and manipulations that PR/Marketing people go through as they find the best way to communicate with customers of their employers. A recent discussion came up with a name for bloggers as “Citizen Analysts”. I find this term uncomfortable because of associations with analyst firms and which I continue to have conflicting opinions about. In short, while analysts firms are taking money from the vendors they are open to influence by vendors. Analyst firms can’t survive without revenue from vendors so this fact isn’t going to change anytime soon. But you shouldn’t criticise unless you have a better suggestion which I’m putting forward here. I would point out that I have never worked on the ‘sell side’ as a vendor or distributor. I’ve never worked at an analyst firm. I have only worked for resellers and customers. I may yet work for a vendor or an analyst firm in the future and have my opinion changed. I have limited knowledge about the “industry analyst” business but I certainly know how to perform industry analysis from a customer perspective. When I’m working as part of the architecture and strategy team on a customer site I will be tasked with analysing vendor products — their strategy, their financial position, the competitive pressures in the markets and so on. I will write reports and reviews to be submitted to committees and team reviews. I’ve seen analyst reports from big firms and the results are similar. 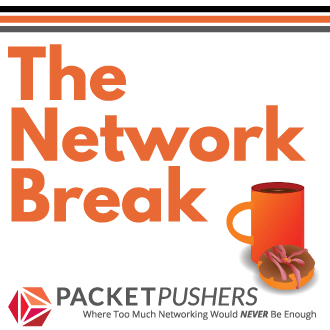 I take a keen interest in the movements in the networking industry. I invest time in observing what each vendor is doing, how the products evolve and look for patterns that are distinctive to each company. After a while of doing it’s reasonably simple to base your customer strategy and architecture on those patterns. Some people call this “predictions” or “industry analysis” but I call it “work”. I started blogging to share some of my experiences and views with the idea that someone else could learn from my experiences and because I enjoy writing. I talk about this here and here. Over time, it’s become clear that anyone who blogs will be have their opinions viewed and “heard” by vendor employees. I’ve had contact from vendor employees at all levels of their businesses – from engineers to the senior executive team as a result of articles I’ve written. It has been a mostly positive experience as well as periods negative engagement in more recent times. My impact (or influence) seems to be similar to large customers whose purchasing power gives their requests a certain gravity that can influence new features or products. This is a form of customer activism using purchasing power to create change in the vendor roadmaps or request a vendor to look at some problem or another. My form of customer activism is to share openly and independently. Over time, I’ve met many people who have taken the time to write their experiences on the web. The common themes are about sharing, to improve, get feedback and to create change. Those terms are also related to civil activism related to politics. I’m not suggesting that everyone rush out and starting agitating like radical protestors, that would be pointless. But I can bring positive and negative aspects of being a customer to the attention of vendors who might otherwise not hear about these issues. Sometimes they can be addressed, sometimes not. 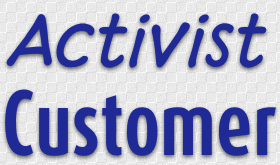 But I prefer to the term “Activist Customer” to “Citizen Analyst” because analysts are commonly regarded as biased or influenced. What are your thoughts ? If you’re in the architecture/product management team in an organisation, you’ve been doing this forever. It’s what we do. Hey Greg, Thanks for listening to the Geek Whisperers! Glad we can bring some insight, although we’re kind of outliers as far as marketers go. We lead the horse to water but we can’t always get it to drink. I think Amy coined the term citizen analyst as a parallel to citizen journalist (Wikipedia has tons more if interested). The analysts I know try very hard not to be biased or influenced, but I’ll give you there’s a lot of paid-for opinions out there. I like the framing as activism, although many of the community folks I know write more to share knowledge and give back rather than any sort of intent directed at a company. But I’m not sure what other words we have — “influencer” seems to look it from the wrong vantage point, and “advocate” is altogether wrong. Community Commentator?